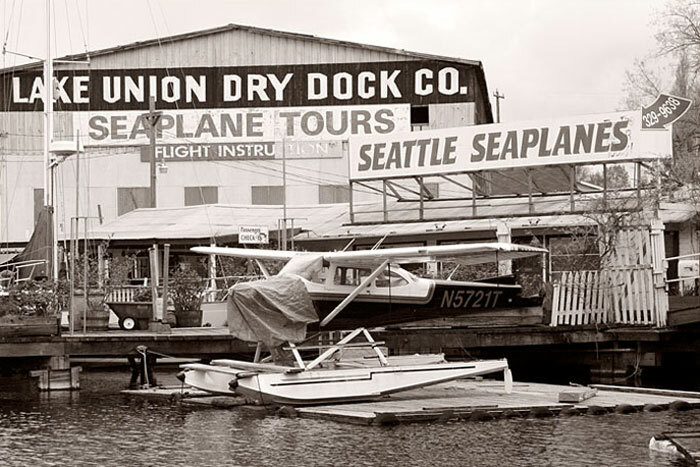 The timber Lake Union Dry Dock Co. building lies on Fairview Avenue by south Lake Union. 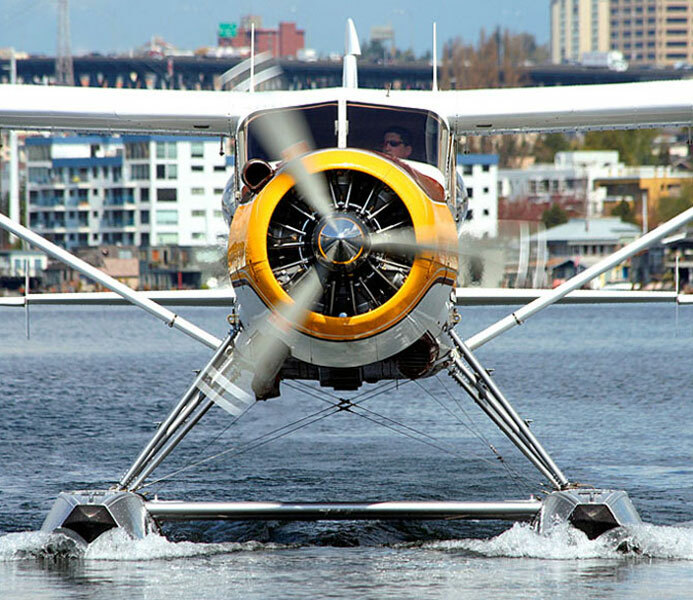 Seattle Seaplanes operate local sightseeing flights and longer charters beyond Seattle. 02	LAKE UNION DRY DOCK CO. 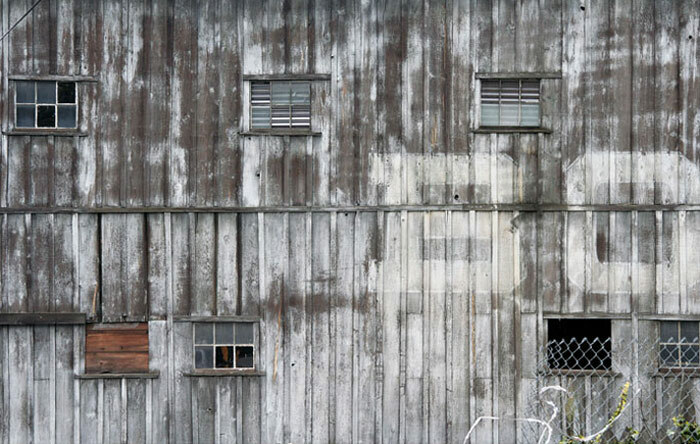 Weathered timbers and sign writing on the Fairview Avenue facade of the Lake Union Dry Dock Co.
03	LAKE UNION DRY DOCK CO. 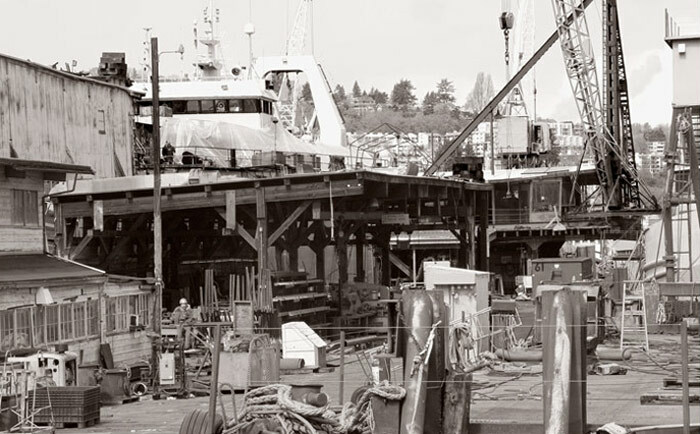 The Lake Union Dry Dock Co ship repair yard off Fairview Avenue is built almost entirely over water and is said to be the oldest operating in the city. 04	LAKE UNION DRY DOCK CO. The Lake Union Dry Dock Co. on Fairview Avenue, by Lake Union. 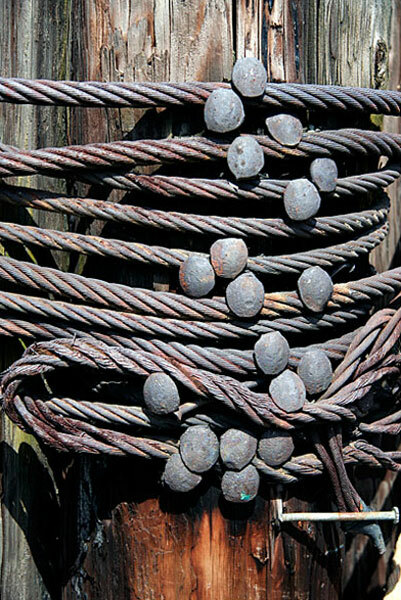 The company concentrates on ship repair but once built and launched a range of working craft. 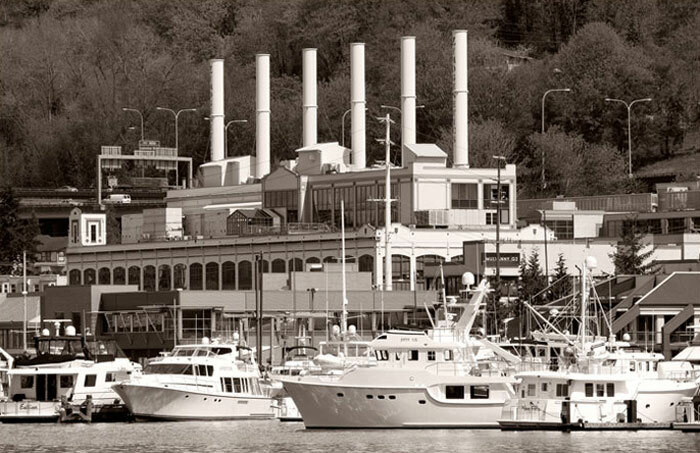 Viewed from the Center for Wooden Boats on the south shore of Lake Union, the former City Light electricity generator plant dominates the shoreline buildings and boats on Fairview Avenue. 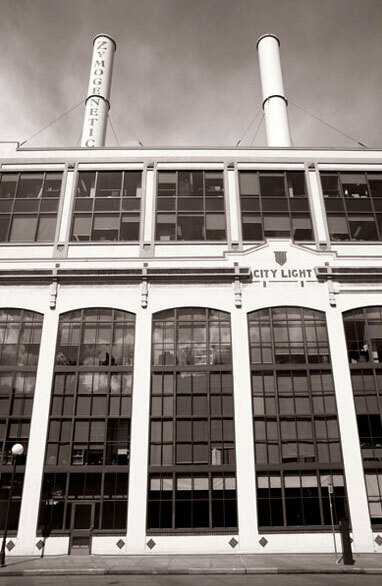 From 1917 to 1983 the City Light Steam Plant on Lake Union used oil-fired boilers to produce steam for the turbine generators. Stripped out and refitted for ZymoGenetics in 1993, the vast interior retains references to its heavy industrial origins. 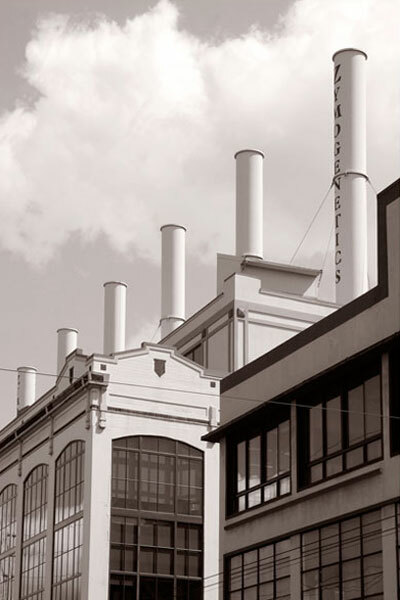 In this detail taken from the long Eastlake Avenue façade of the ZymoGenetics building, the doorway sets a sense of scale to the to the structure and two of its six smokestacks retained from power generation days. 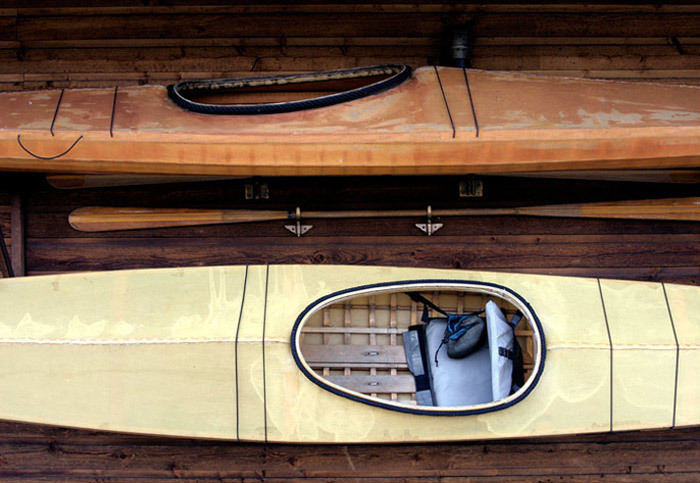 The Center for Wooden Boats on Lake Union Park provides moorings and facilities for a range of small craft such as these wood-framed canoes in covered open storage. Extensive floating boardwalks and land footpaths provide access to all manner of boats. 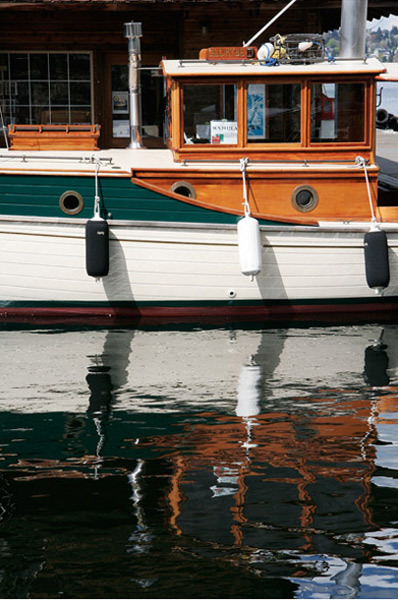 This workshop at the Center for Wooden boats provides building and repair facilities. The Glorybe was built on Vashon Island in 1914, survived a savage winter storm in 1917 and sank after severe fire damage in 2002. Working in small groups from 2002 to 2005, some 200 students on the Marine Carpentry Program at Seattle Central Community College completed a full restoration. 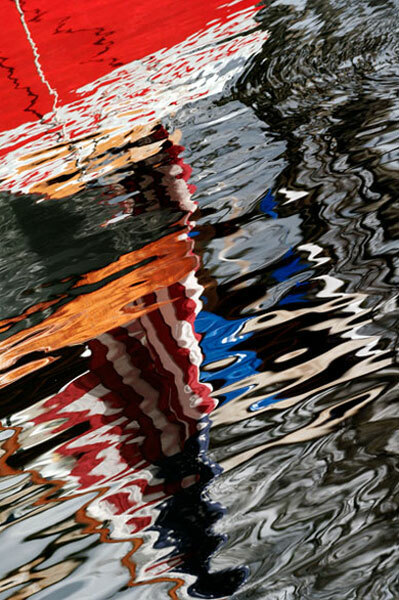 The lower stem of Glorybe is reflected in the still waters of Lake Union. 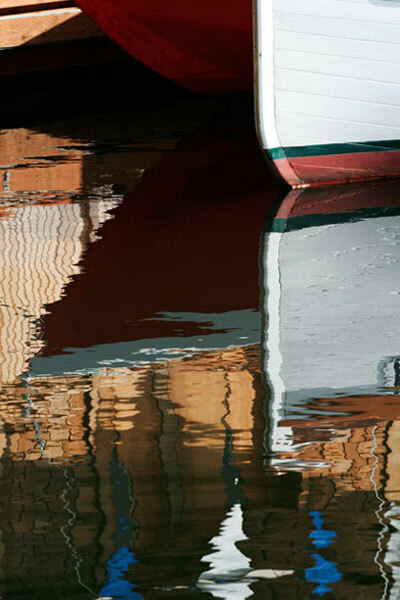 Many contemporary craft are built in fibreglass and plastic and often lack the colour of their painted wooden precursors creating these reflections. These hawsers helped moor the hull of the165 foot schooner Wawona, built in 1897and brought here in 1980. 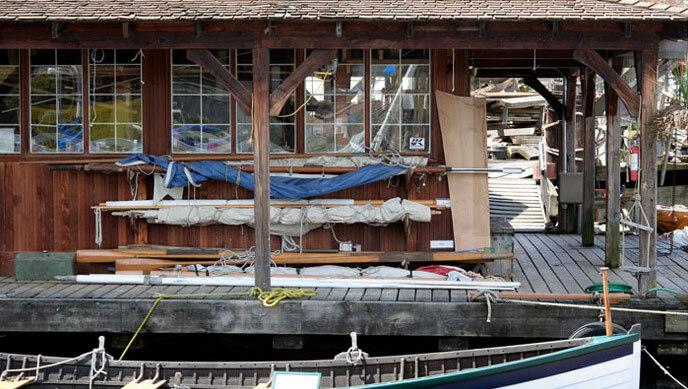 Significant examples of marine carpentry and other features are to be preserved for museum display following her dismantling at the Lake Union Dry Dock in early 2010. Lightship 83 was launched in Camden, New Jersey in 1904 and retains her original steam engine. Her varied career included Navy service as an armed coastal vessel during WW2. 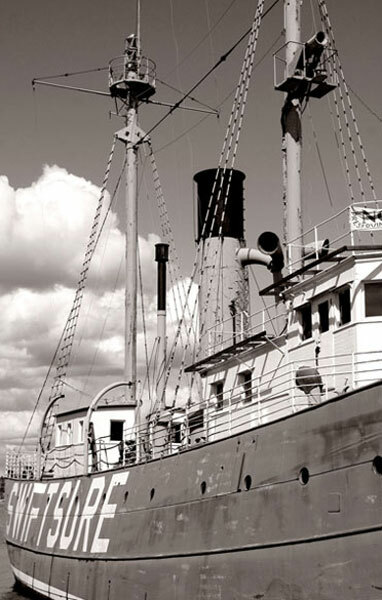 Decommissioned in 1960 and declared a National Landmark Vessel in 1989, she was renamed Swiftsure in 1995. 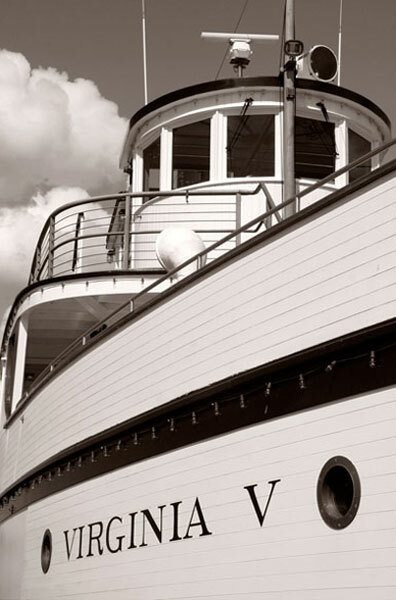 The steam powered and screw driven Virginia V was built in 1922 by the West Pass Transportation Company and listed as an Historic Landmark Vessel in 1992. Rebuilt 1995-2001 by the Steamer Virginia V Foundation, she offers nostalgic travel in a new century. 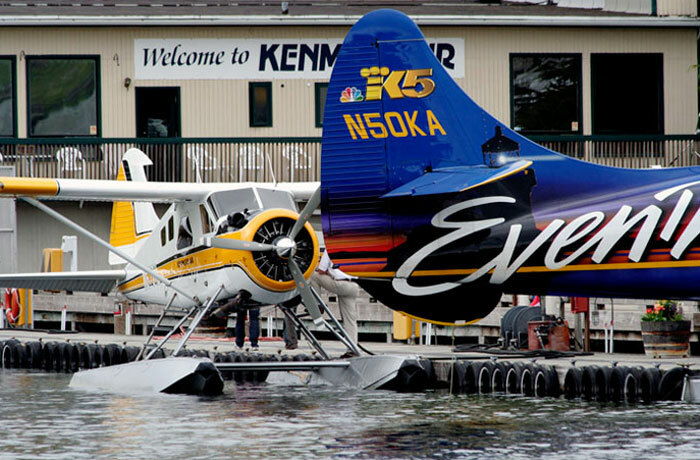 Kenmore Air started in 1946 and currently operates over twenty seaplanes on scheduled and charter flights in the Pacific North-West. Here a 6 seat DHC2 Beaver and a 10 seat DHC3 Turbo Otter are prepared for departure from the Kenmore Air Harbor on Lake Union. An incoming de Havilland Beaver floatplane taxis towards the Kenmore Air seaplane dock on Lake Union. First flown as a landplane in 1947, their number reached 1,657 when production ceased in 1967. 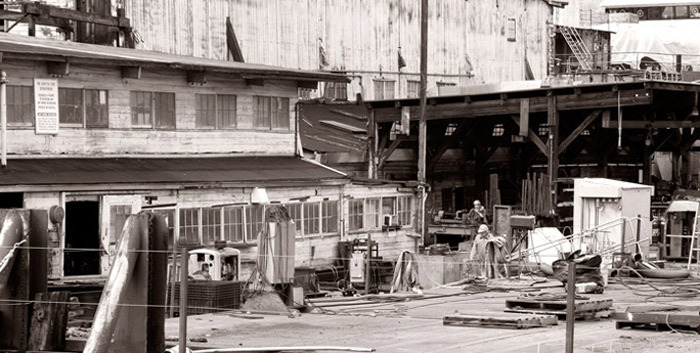 Kenmore Air has rebuilt over 130 of them in its own workshops. The piston-engined DHC3 Otter first flew as a landplane in 1951. 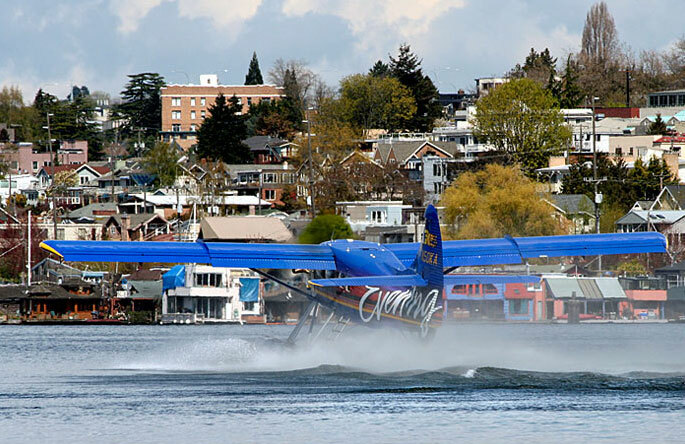 Here, bow waves build around the floats of this turbine powered Kenmore Air seaplane version as it approaches lift off from Lake Union en route north to the San Juan Islands. The Airline is the world's largest floatplane operator.